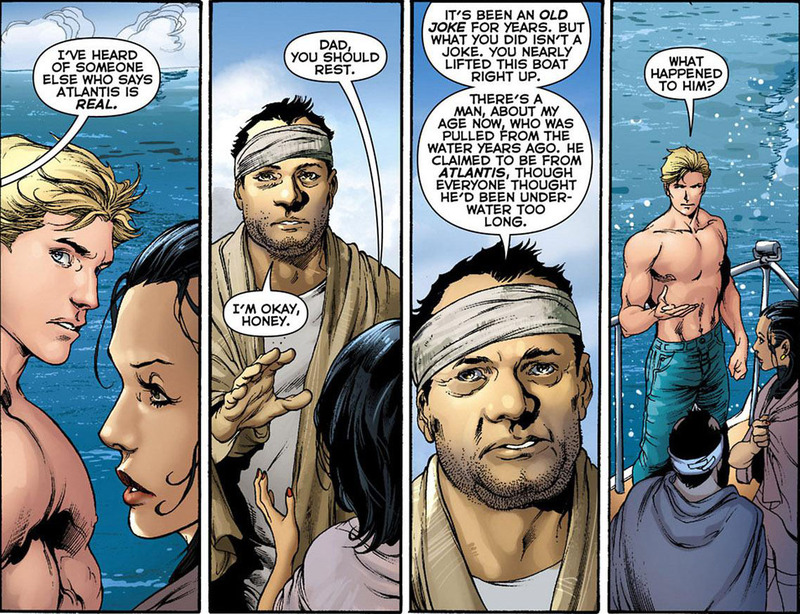 So, according to a poll over at MTV Geek, Aquaman is the Sexiest Superhero Alive. 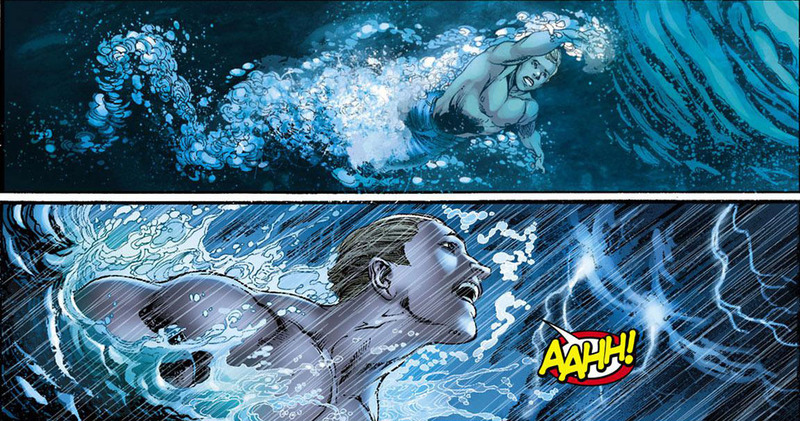 I'm not surprised, Arthur looks positively hunky in the current Aquaman run thanks to Ivan Reis' artwork. See for yourself, here's some scans from Aquaman #0 in which Arthur goes mental after his beloved dad dies and learns more about his (post-Flashpoint) heritage. 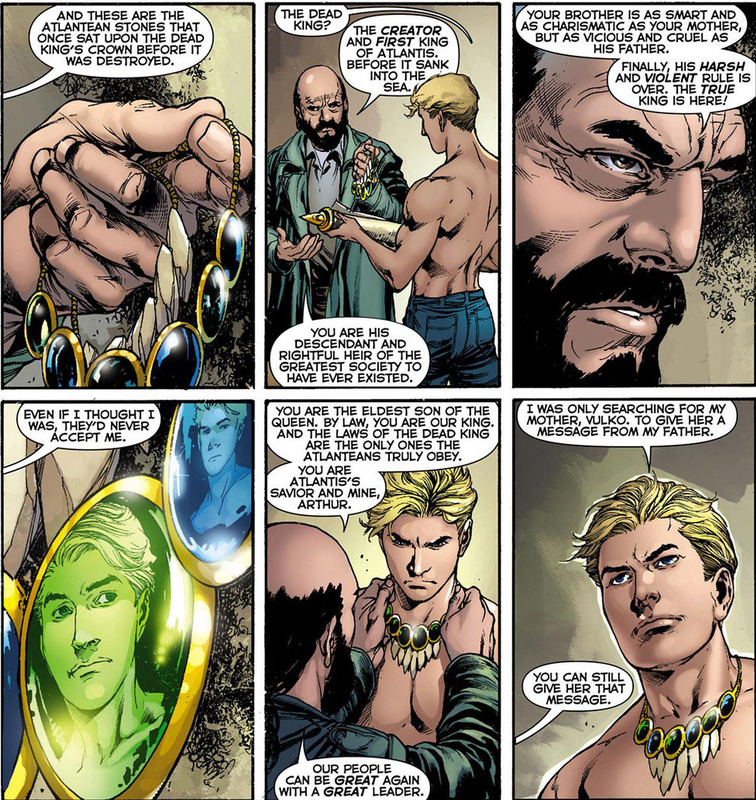 Yeah, I'm kinda worried that loosing Reis will jeopardize the titles popularity. It almost always in the top 10! Apparently Geoff Johns will still be the writer for the foreseeable future (which is good news!). Paul Pelletier will be the new regular artist while Reis will move on to Justice League. 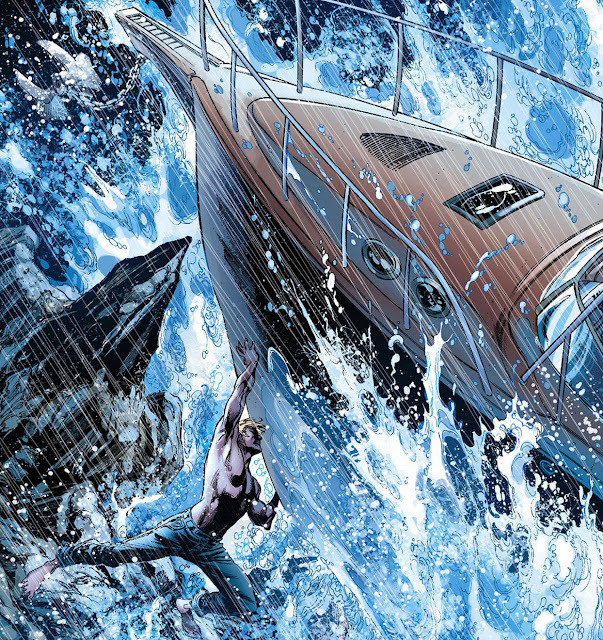 At least he will still get to draw Aquaman in that title. Now, I would prefer it if Reis didn't have to leave, but I think Pelletier is a good replacement. I love Arthur/Aquaman sooo much! 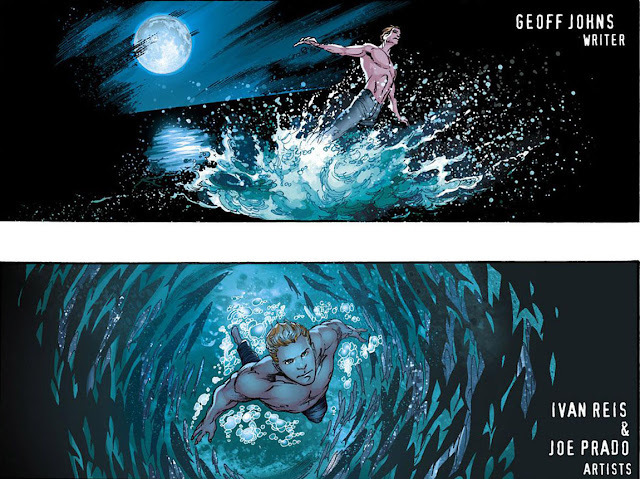 @Fabio, I'll post more Aquaman scans soon!